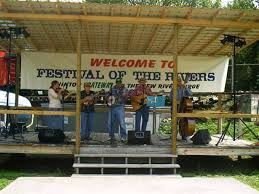 This year JLLM will be participating in the Festival Of The Rivers. 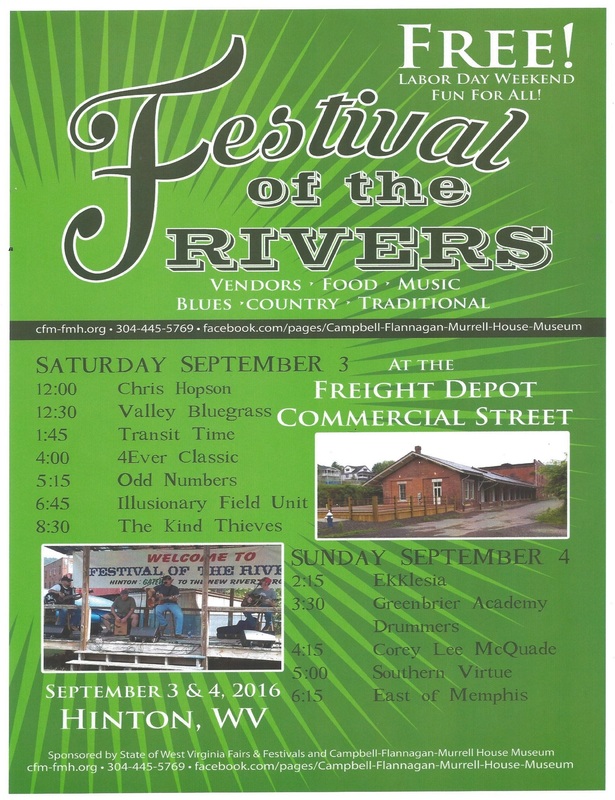 A Festival put on every year, FREE to the public by the Campbell-Flannagan-Murrell-House Museum. Lots of vendors, music, food, and fun! 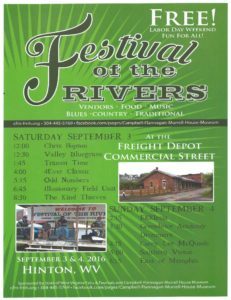 Festival of the Rivers will be held Labor Day weekend, at the Freight Depot, September 3 & 4th. Come on out! It is sure to be a great time! Contact 304-445-5769 For more information.